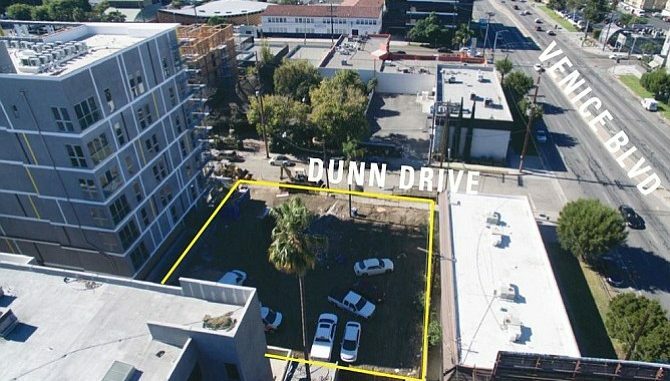 An application submitted yesterday to the Los Angeles Department of City Planning, California Landmark Group has proposed the construction of a seven-story building on the vacant lot at 3812-3818 Dunn Drive. Plans submitted by CLG call for a total of 42 residential units, which would be combined with the 86 unit adjacent building to create a development with 128 apartments. This proposal includes 11 units for extremely low-income households. According to UrbanizeLA, CLG acquired the property last year from its prior owner, Napa Industries, for $7 million. Napa had previously sought approvals for the construction of a 19-story building on the property that would have featured just 17 apartments. 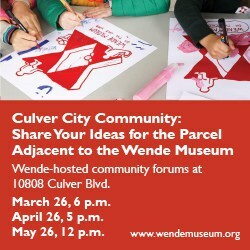 The site is located across the street from 3833 Dunn Drive, where construction is currently underway for a 40-unit apartment complex, and immediately south of 9900 Venice Boulevard, where a 52-unit development with retail is proposed.